If you didn’t know about this, you wouldn’t know it was there. If you know what I mean. A good friend told me about it – I’d been driving past for ages in blissful ignorance. Just east of Chollerford in Northumbria, a little to the north of Hexham on the northern side of the B6318, you’ll see a large wooden cross. Exactly like the one in the picture, as a matter of fact. 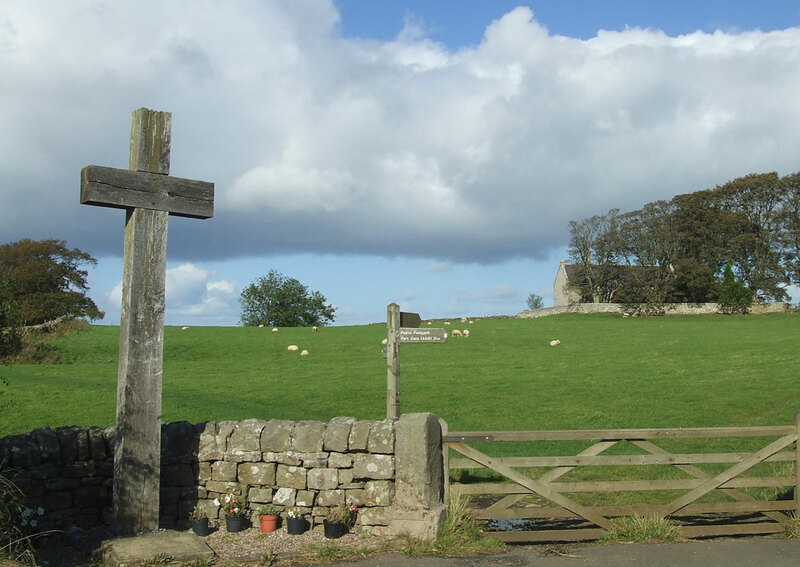 The field and chapel, St Oswald’s, behind the cross allegedly mark the spot of the Battle of Heavenfield. This took place in 634AD (or thereabouts). It was fought between the Anglo-Saxon Northumbrians under King Oswald, and the British warriors of Cadwallon, or Cadwalla, of Gwynedd. The Northumbrians had been heavily defeated at Hatfield Chase, near Doncaster, by a curious alliance of Cadwalla and King Penda of Mercia – an Anglo-Saxon kingdom. It was a curious alliance because you would think they should have been poles apart. Bear in mind that ‘heathen’ Anglo-Saxon invaders had overrun most of what we now know as England, leaving the original Britons controlling lands in the west – including what we now know as ‘Wales’. It would be misleading to think of Gwynedd as Welsh in the 7th century; what we’re looking at here is a Celtic, British, territory occupied by the near descendents of the people that had lived in the whole of the southern part of the island of Britain since before the Romans came – until pushed westward by the Anglo-Saxons, including the ancestors of Penda and his Mercians. So you wouldn’t expect them to be that chummy with each other, would you? See ‘Dark Age Britain’ for more about this. These are shadowy times in Britain’s history, though, and facts are scarce. But the King of Northumbria, Edwin, was killed at Hatfield Chase. His kingdom was divided into the older kingdoms of Deira, to the south between the Tees and the Humber, and Bernicia to the north. According to Bede, who wrote his ‘History of the English Church and People’ in the 8th century, Cadwalla was not only a pagan, but also a savage tyrant who then proceeded to ravage Northumbria ‘with ghastly slaughter’. Oswald, a man ‘beloved of God’ and the dead Edwin’s brother, returned from exile to raise an army against the pagan hoards. 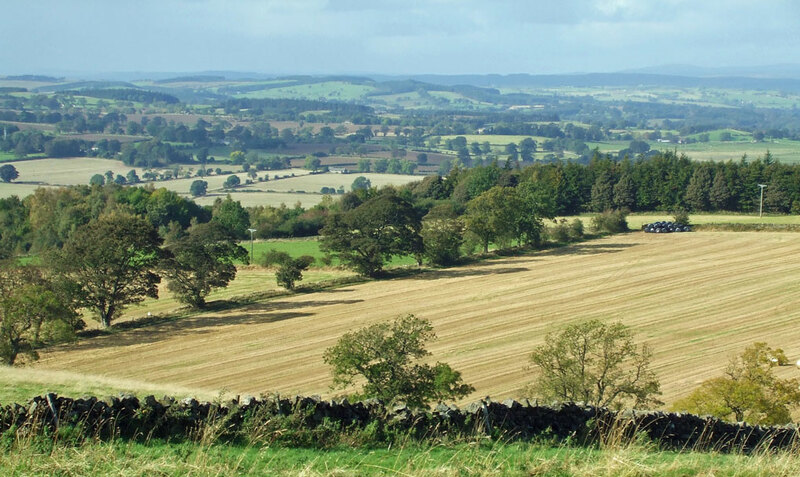 We know little about the Battle of Heavenfield (in old English, Hefenfelth), but it appears that Oswald used nearby Hadrian’s Wall as a defensive position. Though heavily outnumbered, his tactics ensured that he could not be out-flanked and the result was a decisive victory for the Northumbrians. Cadwalla was cut down and killed at what Bede calls Denisesburn, or the Brook of Denis, now known as Rowley Brook. Bede also maintains that Oswald received heavenly assistance, not least by setting up a wooden cross before the battle, which later became a source of miracles. Allegedly, people used to pinch splinters from the cross because they were believed to have health-restoring properties when mixed with water. Presumably, that’s why the one that’s there now is somewhat newer than the original, which had been picked to pieces sometime before the National Health Service came to everyone’s rescue. The result of the battle was the reunification of Northumbria under the Saxons and, again according to our friend Bede, it ensured the future of Christianity. Oswald was later made a saint. Some historians also suggest that the death of Cadwalla marked an end to Celtic British aspirations, secured the future of Saxon power in the whole island and therefore probably made the eventual creation of England inevitable. To see this as anything more than a power struggle seems fanciful and unrealistic, though; Cadwalla does not appear to have been any kind of Celtic unifier, and by the 7th century the Anglo-Saxons were no longer invaders but part of the landscape. This is all very well, you may ask, but is there anything to see at Heavenfield? Well you won’t find the remains of Dark Age warriors, though I daresay it’s a bit spooky after dark. 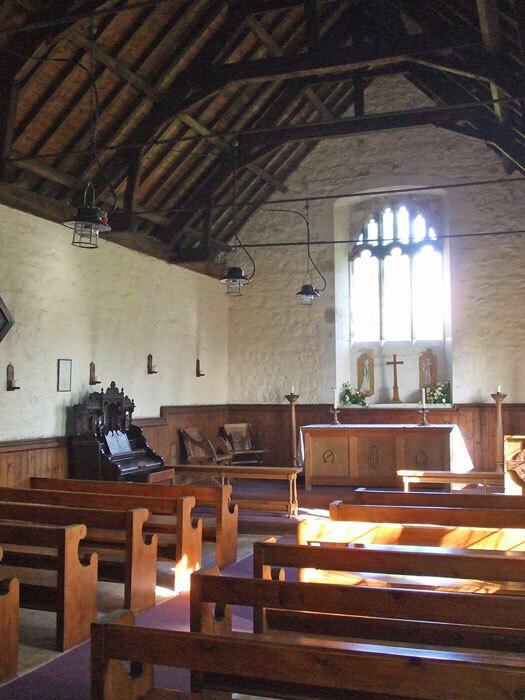 What you will find is a lovely little chapel dedicated to St Oswald. It stands on the site of an original Saxon one and was restored in the 19th century. According to legend, the chapel is where Oswald originally raised his cross. You’ll also find some fabulous views and have the privilege of walking in the steps of history, where part of this nation was forged. Don’t travel hundreds of miles especially, but there are plenty of other reasons to be in this part of the world and, while you’re there, have a little explore. 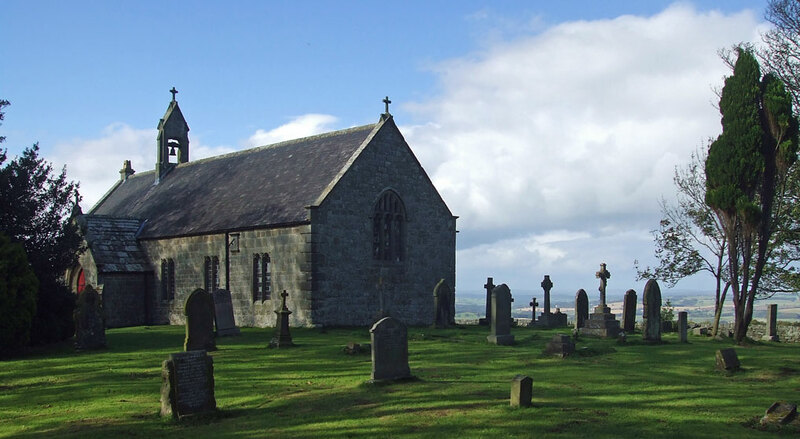 If you’re a serious walker, St Oswald’s marks the start (or end) of a 97-mile long distance footpath between Heavenfield and Holy Island (Lindisfarne) on the coast. Go to A Bit About Britain’s Attraction Directory to discover other battlefields. Exploring your site a bit more I found this. I have great admiration for Oswald, especially for his persuading Aidan to come from Iona to start the monastery on Lindisfarne. I’m a great fan of the early Celtic Christians in Northumbria, and have written a couple of posts on them earlier in the year. Sadly, a long way from here in W Sussex for a visit. I find the whole sub-Roman period fascinating. I visited Lindisfarne years ago and need to return; Iona is on the list too, of course! Thanks – hopefully there will be more mentions of Northumbria to come! You are right, most of ‘England’ was ruled by Angles – though I think the Germanic tribes weren’t quite as pigeon-holed as our neat modern minds easily conceive. It’s also acceptable to refer generically to Anglo-Saxons, or even just Saxons – they had much in common. And don’t forget the poor old Jutes and Frisians. Thanks very much for stopping by. Love the look of your new site. Well done, looking forward to reading more. Thanks, Jan. Still trying to get the hang of various things. I hope to resume normal commenting later this month – sorry I’ve been a bit absent! History is littered with shadowy times. That view is spectacular, I would have to do that distance in relays! Love your new site, very posh. Ta very much! I hope to resume normal commenting later this month – sorry I’ve been a bit absent! Love the new site. Thanks for all you do! You have put an incredible amount of work into this site. Thanks for the history lesson today and in the future. Great post! Got a kick out of the National Health Service line. LOL I might actually get to visit this some day. Love B roads, and this is Vera’s country! As always, the photos are fantastic, Mike. What a beautiful place! It really makes me want to visit. And the last photo is just gorgeous – I feel quite envious, being currently in Jordan where the spring greenery is turning brown and dusty. Great to hear from you – hope all is going well. I hope to resume normal commenting later this month – sorry I’ve been a bit absent! Interesting post. I am liking this new site Mike. The light background is much easier on my eyes to read too. I’ll enjoy looking around all the features you have here. Great job!! Thanks, Pam. Still not on top of everything. I hope to resume normal commenting later this month – sorry I’ve been a bit absent! I have learned and in a fun way a lot thanks to you. Thank you – very kind!! It looks like a fascinating place. Thanks, Denise. I’m afraid I’m still getting the hang of things. I hope to resume normal commenting later this month – sorry I’ve been a bit absent! As you may know I used to be a serious walker (I’m more of a comedy turn these days) and led walks in that part of the world. People were always asking why they hadn’t heard about the walking up there before as it really is superb country. Yeah – Northumbria has a different ‘feel’ to it somehow. I hope to resume normal commenting later this month – sorry I’ve been a bit absent! Thank you! I hope to resume normal commenting later this month – sorry I’ve been a bit absent! “If you didn’t know about this, you wouldn’t know it was there.” A bit like your new blog! But I found my way here. I doubt if I’d attempt a 97 mile walk – though the views look gorgeous. I think the idea is to do the walk in easy stages… I hope to resume normal commenting later this month – sorry I’ve been a bit absent!